We don’t often get press releases from fast food joints – even though some do have high-tech pretensions – so when we got one from KFC today, it got our minds racing. It couldn’t actually be fried chicken for cryptocurrency, could it? Thankfully, it’s only a drone. Wait, what? 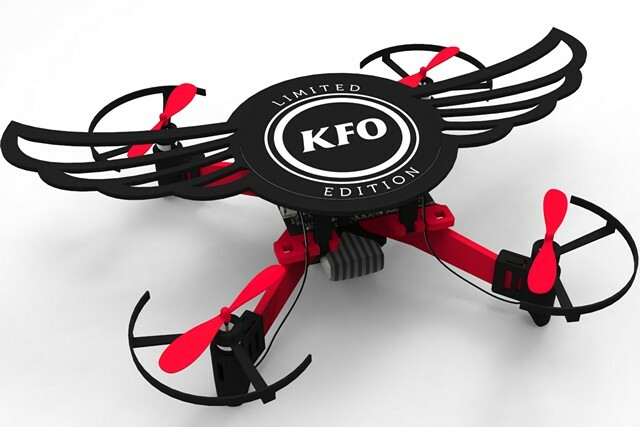 That’s right KFC is releasing a new DIY drone which comes bundled with its Smoky Wings snack in India. 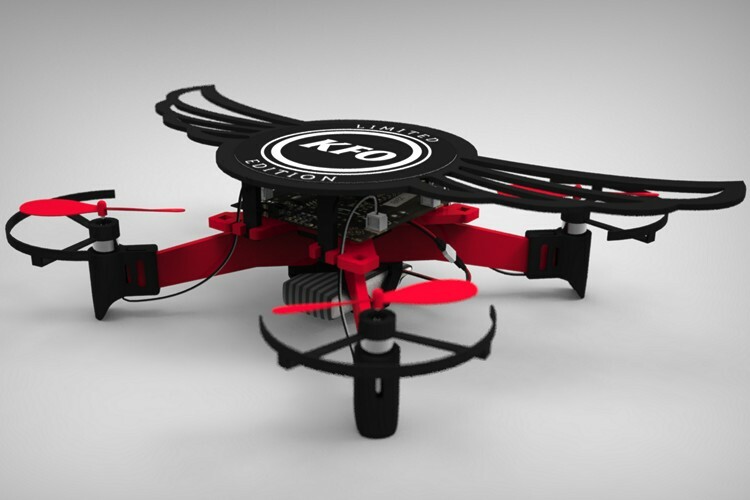 Called the ‘Kentucky Flying Object’ or ‘KFO’, it is a small, red and black plastic device like many other toy quadcopters available in the market, but it needs to be put together by the user as part of a DIY project. A press statement says KFO will be available as part of a special package in select KFC outlets in Delhi-NCR, Mumbai, Kolkata, Bangalore, Chennai, Hyderabad, Chandigarh, Pune and Kochi between January 25 and 26. While only 24 of these will be given away for free, KFC says that the device will actually be launched on its website as a bonafide tech product next week. So we examine it’s tech credentials, while ignoring the calorie-ridden snack it comes with. Firstly, there are four propellers, a 380mAh battery to keep it flying, and the snack box itself forms a part of the device – in this case, the base of the drone. While the KFC drone may be a cool new device, it’s certainly not the first time the company is bundling gadgets with its meal boxes. The company had earlier given away devices like power banks, bluetooth game controllers, and even a one-click button to order … well, what else, but fried chicken! In fact, the company also launched a limited-edition smartphone last year in association with Huawei to celebrate 30 years of opening its first store in China. Only 5,000 of those were ever produced, and they were sold for 1,099 yuan ($162) a pop.